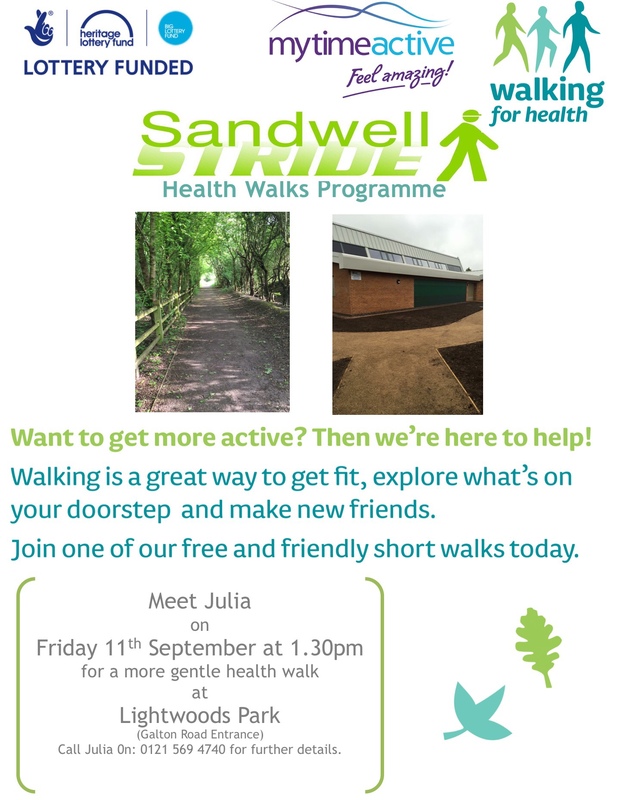 Julia from Lightwoods Park is starting a series of walks to enable people to get a bit of exercise, get to know new people, and generally enjoy yourself in the fresh air. Starting at Lightwoods this Friday, the plan is to then run the walk at the same time each Friday probably up until the end of October. It is a gentler walk as the park lends itself to this for people who may have mobility issues or recuperating from illness etc.